Ventilation extraction systems are a targeted way to ventilate specific rooms. It is especially useful if the room is internal or doesn't have large windows available to ventilate the space. This makes it ideal for bathrooms and utility areas which tend to release more moisture. Our ventilation extraction systems can also be used either to ventilate one room, or split to do two rooms with just one roof outlet. These ventilation extraction systems can extract a surprisingly large amount of air – up to 53 litres every second. That's almost 25,000 litres during the average time it takes to shower. 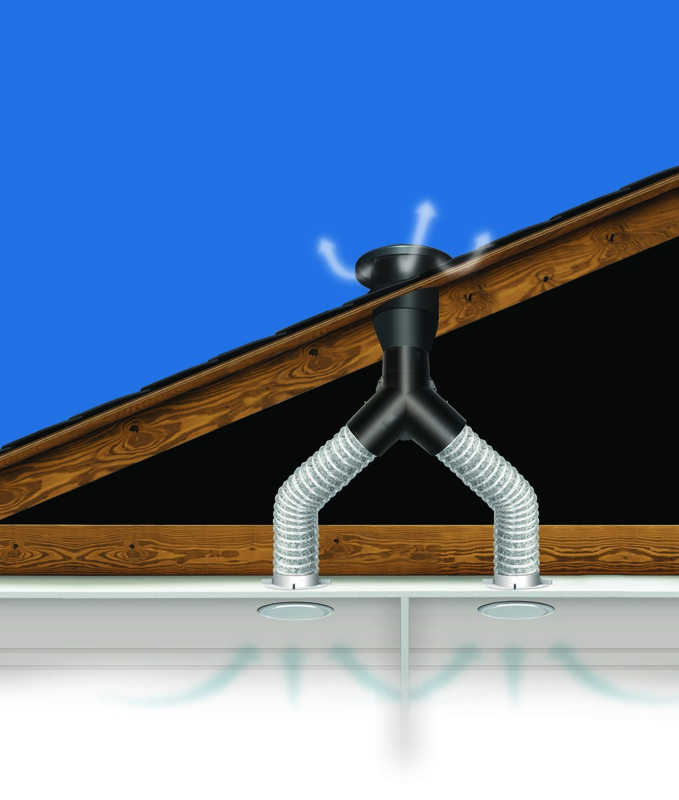 Hometech ventilation extraction systems far exceed the building code. The way they are installed using our flashings has been appraised by the Building Research Association of New Zealand (BRANZ). This is how you can have confidence that they will last over time. Unlike most bathroom and kitchen fans the motor of the ventilation extraction fan doesn't rest on the ceiling of your room. This means that there is very little noise bleed. With a 3 metre long duct, the fan can be as quiet as 35 decibels in the bathroom. This is slightly louder than a whisper and slightly quieter that a computer's hum. The ventilation extraction system has a 2 year warranty on the motor and 10 years on all other parts and workmanship. Want to know if a ventilation extraction system is right for you? To see whether a ventilation extraction system is right for you in your home, we want to offer a free in-home consultation where a certified installation consultant will assess where a ventilation extraction system can be installed in your home. Otherwise, you can check out the Energy Recovery System.